Are Online Vote-for-Me Contests A Good Idea? Note from Beth: There has been a variety of criticism of contests. Nonprofit consultant Hildy Gottlieb has been a vocal skeptic and is deeply philosophically opposed to online contests as a method of change in the social sector. Her main objection to "vote me contests" is that it pits one amazing cause against another, perpetuating the scarcity mentality that lives in the hope of a pot of gold. She also feels that contests have too much of a myopic focus on channeling dollars or click actions rather than engaging people's hearts and minds and souls. Earlier this month, I sent out a few tweets asking for the counterpoint to Hildy's view. Jared Paul, the co-founder of a new nonprofit that has a focus on homeless youth and one of the winners of the $25,000 in the first phase of Chase's Giving Community Contest offered to share his thoughts. While as of this writing, his organization is in the bottom 25% of the leaderboard he shares a few points below about why contests like this can be helpful for small, new nonprofits. In addition, Andy Amsler, a volunteer for another organization in the bottom 30% of the leaderboard as of this writing, left this comment on a blog post about the value of the contest for their organization. Now that social media has normalized, can contests like this be a level playing field where organizations with hundreds and thousands of fans and much larger budgets compete along side those smaller organizations? Nathaniel Whittemore pointed out some further problems with dubious strategies that as he says turns these contests into a farce. Does these contests really help build capacity of nonprofits and bring innovative solutions for social to the forefront or not? What do you think? My name is Jared Paul and I’m the founder of a one and a half year old, San Francisco nonprofit called A Good Idea (AGI) that recently made the top 100 in the Chase Community Giving contest. AGI is a vehicle for positive social change ideas that connect people in need with people who want to help. Our largest “good idea” to date will be a fully accredited residential high school for homeless teens in San Francisco, which we will look to replicate in other cities across the country. As a fairly new nonprofit, this online contest gave us the ability to gain exposure and compete with some more established organizations. The best part was that we won $25,000 and more if we do well in the second phase of the contest (up to $1 million!). Not bad for three weeks work, especially considering that we recently netted $10,000 for 3 MONTHS of planning a fundraiser! You might ask, how did a less than two year old nonprofit make the top 100 out of 500,000 nonprofits nationwide? Well…sheer hustle, an inspiring video, and a supportive network. To control spam, Facebook makes it impossible to email more than 20 people at a time, so to email your friend list, you must break your list down into groups of 20. Emailing my list of over 4,000 friends took me a few hours and I helped 40-50 friends through this process, quite time consuming. Chase also created an “activity” page where you could see who was voting for which nonprofit. Everyone had 20 votes to use (and you could only vote once per nonprofit) so people were usually left with 19 extra votes. I began emailing people after they voted, asking them to consider using one of their votes for AGI. While my Thanksgiving wasn’t much of a holiday as I had a laptop on my lap at all times, it was well worth it. People in New Jersey, Nebraska, and New York who were learning about A Good Idea were emailing me asking how they could start a chapter in their hometown and asking their friends to vote. We started receiving unsolicited donations from people who cried after watching the video on our website and felt the urge to donate money to us. In summary for Round 1, we had our friends vote, we had our friends ask their friends to vote, and we asked total strangers to vote…and it worked! For Round 2 we came up with a more elaborate marketing strategy including partnering with four other Bay Area nonprofits to support each other, voting parties, the attempt to get celebrities tweeting about us, getting local high schools on board, and much more. So far it hasn’t proven to be enough as we are far behind in the standings, but don’t count us out yet as we’ve got a few tricks still up our sleeves! All in all this process has been an unbelievably strenuous but rewarding process that has left me feeling an enormous amount of gratitude for the opportunity that Chase and Facebook. Thanks for reading and of course, you can vote for us. Updated: Andy Amsler expanded on his blog comment about why these contests are good for small organizations. You can read more here. I am a friend and fan of Jared Paul's and "A Good Idea" - in fact, I voted for them in the first round. I can really appreciate the value and time that he put into the campaign. As he notes - it took real hustle. I could tell from afar how much hustle he was putting into it. Still on a philosophical level I don't like "vote for me" contests. In some sense because of the fact that it does come down to "hustle" or - free time. It reminds me a lot of the reasons why I ended up getting turned off by and basically leaving the Digg community which I was at one point - completely engrossed in: It came down to time. To be active on Digg was a full time job. And you know what, people were making money off it too. It really was a full time job. The content ended up being less important than who was being active on digg, making money and therefore able to spend 9 hours a day working on the site. It seems to be the case for "vote for me" contests as well - albiet at a lesser extent. But the money metaphor is even more transparent. Still: A Good Idea SF FOR THE WIN!!!! I knew nothing about Jared Paul and A Good Idea until I received unsolicited email asking for my vote. I responded saying how I thought sending out a blanket request for votes to people you don't even know was not that best way to start a relationship. Jared sent a nice response. I just never had time to continue the conversation. But I will admit I am still left with a bad impression. Sending Spam is never a good practice, and never a good idea. I entered The Jenzabar Foundation's popular vote contest to win much-needed $3,000. the nonprofit with the most comments wins. I asked my network to vote only to find out Jenzabar Foundation did not account for the same person voting twice or more by leaving multiple comments. the point of the content was to see who had the biggest SOCIAL MEDIA network not social network. I had clearly the largest yet people with 300 followers had comments into the thousands. once I realized this contest was impossible to win I felt bad I 'worked' my network. Many people have suggested I jump into the Pepsi Refresh Project but I am a little gun-shy. Although my network has grown, unless it's around Christmas time homelessness is never a popular cause. In addition, since my network has grown I feel even more responsible to not present gimmicky type contests. I don't like popular vote contests for nonprofits. The contests do not highlight who is affecting social change, or who will use the money to help more people. The winner is simply the person with the best 'hustle'. There is nothing wrong with working hard to make something happen. But nonprofit popular vote contests seem to have very little to do with genuinely helping a social cause. May the nonprofit who can send out the most unsolicited emails win! I agree with Hildy Gottlieb. Ever since the second round opened, two things have made me uncomfortable. The first, specific to this moment, is that I SO wished that Chase had postponed the second round by a couple of weeks after the earthquake in Haiti. Our plan was to have fun with this, and invite our members to have fun with it, but last Friday, three days after the earthquake, was not a moment for fun or whimsy. So yes, overall I agree that there is something unseemly about the whole thing, and unless you watch your own red lines like a hawk you could easily do some lasting damage to your reputation. We emailed our members once, put a banner on the site, and did some tweets and FB updates, but decided (for both reasons mentioned above) not to go crazy with this. Hi Mark - Sorry I left you with an uneasy feeling. It's funny how an unsolicited message, canned or not, can affect people in such different ways. I can't even count the amount of emails I received back from people saying how touched they were by our video. These same people spread the word to their network and even sent donations. But yes, I can understand from your point of view as well. Ami, I felt the same exact way after seeing the leaderboard. I was unaware the contest was starting at 12am ET on that Friday and when a friend texted me, letting me know that Round 2 had started, it was a bit deflating when some orgs already had 2,000 votes. I think the most important difference here is whether we are focusing on philanthropy or fundraising. While the two are not mutually exclusive - and indeed to some extent need one another -they do rely on different approaches. The organisation I work for, SchoolAid Australia works with primary school aged children (8-12yo) to encourage them to help other kids around the world by raising funds in student-led projects. Our point of difference is that we also provide them with feedback as to how they changed the lives of other kids (eg by building a schools in Banda Aceh or providing school desks for kids in Africa). We aim to develop a culture of philanthropy in Australia (Aussies are currently pretty poor in comparison to other developed nations) but coming from a background of fundraising or project delivery, this less tangible goal of "philanthropy" is a bit harder to get my head around. This contest has been a tremendous learning experience for us at Isha Foundation, as we have climbed to the third rank. This first-time experiment with social networking has provided immense insight into the potential of these tools for reaching out to mass audiences. Thanks for sharing your thoughts and the guest post from Jared! Working with NetSquared means I'm deeply connected to one Challenge model in particular, so could just be biased. I do think that there is something special that happens with competitions in the NetSquared Community <- and that's why: Community! The NetSquared platform is a place where people can put up an idea whether there is a Challenge taking place or not; that's why we call it a Gallery (and why we don't take Projects off the site unless the poster chooses to). This way users can post ideas, update them as their work progresses, and others can find Projects they are interested in helping with or funding. Not only that, but we've actually had Projects withdraw from competition or change their Project details to reflect groups coming together to collaborate, instead of compete. Amy: Thanks for the posting and sharing the paper. I think that Netsquared is a great example of a well-designed contest that is truly focused on innovation and social change. And, when there is a community and a community evangelist --- the popularity contest aspect and competitive aspects are reduced. 1) Adding to the noise - In fundraising, sometimes less is more. I was bombarded with tweets and emails from nonprofits asking me to vote for various contests that have taken place in the last few months. 2) Ineffective donor encounters - Nonprofits can turn to their supporters only a limited amount of times before seeming overbearing. Why waste one of these limited opportunities on generic, masses-enlisted, charity popularity-contests. I fail to see this as a tool that engages constituents and endears them to a charity's cause. 3) One-Way Street - Donors today are looking to do more than "just" give money. They either want to become involved or share a connection with the charity they are supporting. In short, its a symbiotic relationship where both parties gain something. With this in mind, these kinds of contests seem to serve a totally non-experiential, unidirectional purpose that only benefits the organization. I elaborate more on the above reasons and add a few more in a post I wrote on my blog back in November entitled, "Rate My Nonprofit! Why Online Surveys Aren't Worth the Click." The main issue I have with these contests is that they reward non-profits for how many votes they can get rather than the impact they make on their community. The Chase contest is the second Facebook contest that we have been involved with. In 2008, Love Without Boundaries won the first Facebook Giving Contest. At this time, we had our first experience with competing against other charities for money. I have to admit that there were many parts to it that felt wrong to me, as I felt like we were competing with other people who were also doing great things for the world. How could you say that one charity was “better” or more worthy than another? We also learned that when charities compete for money, sometimes ethical boundaries can be pushed in order to win. It bothered us to see some charities bending the rules in order to get more votes. After this contest was over, we gave Facebook Causes a lot of feedback regarding how this contest was set up and run. In the end, so many children benefited from the money we won, but we learned that when you combine passion for a cause with competition, things can sometimes get tense. And that never feels right when you are talking about charities whose goal is to make a positive difference in the world. We loved that the initial Chase contest would allow 100 charities to receive $25,000. During Round 1, it felt as if there was a lot of camaraderie between charities, because each person had 20 votes and the playing field was even. There were a lot of alliances formed, including one with all of the charities working in China. We celebrated when so many charities helping orphans won….as ultimately the children were the winners. You really do have a limited number of chances to garner support, whether it be time, talent, or treasure, and sending and status updates to get votes is one of the less personal ways out there. As for organizations turning somewhat nasty during these competitions, unfortunatelycompetition breeds (voting) envy and those moments can lead to unethical actions. While we didn't partake in those, there were definitely times where I brainstormed ways to get a leg up. I'm not sure if the way these contests are being run is the right way, but I feel confident that a huge company such as Chase giving away $5 million to charities is a positive thing. 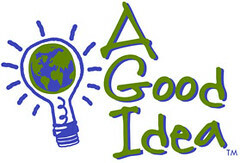 Also feel free to follow A Good Idea at twitter.com/AGoodIdeaSF or on Facebook at facebook.com/agoodidea. Thanks! Given that the web is in its infancy (15yrs +) in historical terms, and that social media have an even shorter time span (2 -5 yrs), I think the negative judgments on this issue may be a bit early. Contests like this provide a means for people to vote on grant making decisions. They shouldn't be looked on as ballot of how good or otherwise a non-profit is, nor of how worthy a mission is. The "winner" is simply an organisation that managed to amass enough votes. There are obvious positives - money is given to deserving non-profits, the concept of philantrophy is intermixed in a new way with new media, non-profits who may not otherwise have been widely known become so. Social media are an established fact of life now. Non-profits need to figure out how best to engage with that media. Sure, along that path there will be cause for questions, but ultimately i think we should be looking at the potential they represent, and moreover the potential that their future development represents. I referenced this post, and your blog, in a new article "An Acceptable Model for Online Vote for Me Contests?". Hope that's ok. I think there's a better way to use online contests in development - focus on an organization's ideas and capacity to implement. Online competitions are a powerful mechanism to open the backdoor proposal selection process - making good ideas both accessible and (ideally) promoting greater learning. Netsquared is a great example of this. So is Ashoka Changemakers. What's needed is guidance on good practice for online competitions. I'm plannign to review Amy's whitepaper. If anyone has additional resources on this topic, please let me know!